Sometimes bigger is just bigger – not necessarily better. And when it comes to full-sized vs. mid-sized SUVs, that “bigger” might just end up costing you more in gas money without giving you all that much more space or even many more amenities. In fact, some of the top mid-sized SUVs on the market have nearly as much room and many of the same amenities as their larger cousins. And because they’re smaller and often cost less, if you can stretch your budget a bit, you can even get some spectacular upgrades – which you may not be able to afford on a full-sized SUV. 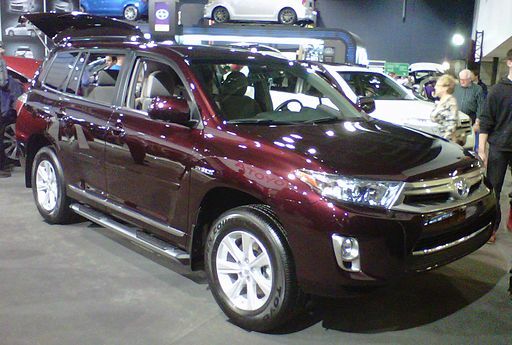 Starting at $29,020 for a standard engine (hybrids start at $40,170), the Highlander features seven-passenger seating and a flexible third row, plus a display audio console, Bluetooth technology, easy-to-clean fabric-trimmed seats, remote keyless entry, and an EPA-estimated 22 MPGs (combined). 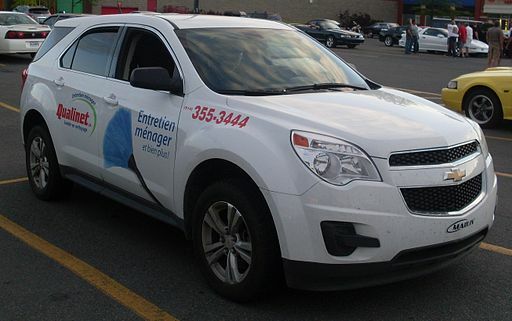 With a starting price of $24,155, the Equinox seats up to five and includes Bluetooth technology for hands-free calling, a graphic interface display with AM/FM/CD and MP3 options, a theft-deterrent system, and split rear-folding seats for even more cargo room. The Equinox gets an EPA-estimated 26 MPGs (combined). Starting at $27,850, the Venza offers seating for five, including split rear-folding seats that also recline for added comfort, as well as a display audio system, Bluetooth technology, a telescoping/tilting steering column for a custom fit, an overhead storage console for maps and sunglasses, a center console for added storage and rear seat reading lights. 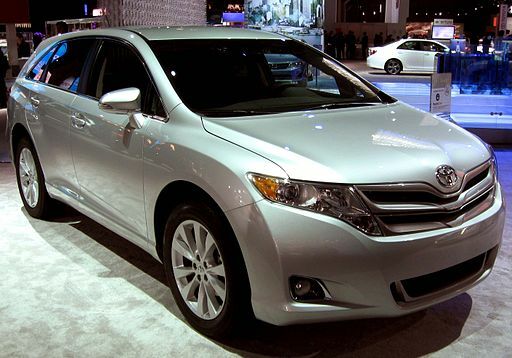 The Venza gets an EPA-estimated 23 MPGs (combined). The Pilot starts at $29,520 for a 2WD automatic featuring an audio system with touch screen display, Bluetooth technology, 12 beverage holders, seating for up to eight, a touch screen audio system and a miles-to-empty indicator. 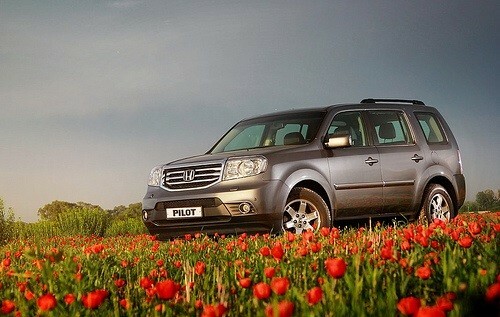 The Pilot gets an EPA-estimated 21 MPGs (combined). With a starting price of $30,900 and seating for seven, the Flex features rain-sensing wipers, a tilt/telescoping steering column, display audio system, capless fuel filler and power-folding outside mirrors. 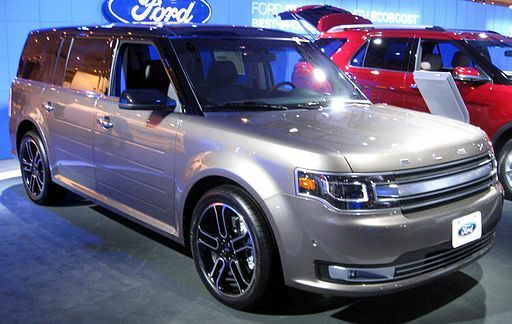 The Flex gets an EPA-estimated 20 MPGs (combined). Starting at $24,450, the Santa Fe offers seating for five (with some models offering seating for six or seven), and gets an EPA-estimated 21 MPGs. 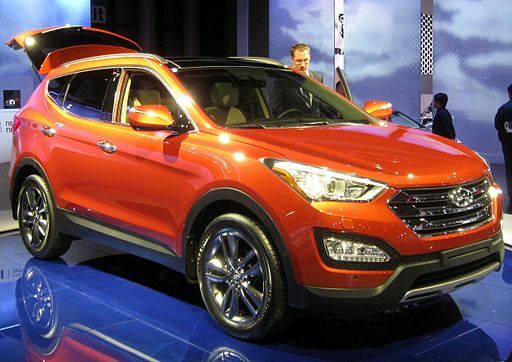 Additionally, the Santa Fe features remote keyless entry, AM/FM/SiriusXM (ready)/CD/MP3 audio system, stain-resistant cloth interiors, and steering wheel-mounted audio, cruise and Bluetooth controls. As you’ll notice – most mid-sized SUVs are already pretty well priced, but if you’re in the market for one you’ll also find new car deals throughout the year that make them even bigger bargains. From low APRs or zero down payments, to cash back and special options, automakers tend to offer these popular vehicles at great savings around mid- or late-year, so if you can sit tight now – in a month or so you’ll probably be able to get a great new car deal that makes them even more affordable.